Monroe County is a county of the state of Alabama. Based on the 2010 census, the population was 23,068. Monroe County was created on June 29, 1815. The county seat is Monroeville. 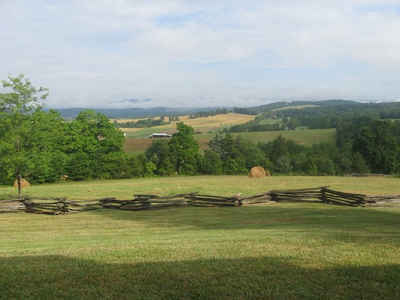 The county is named in honor of James Monroe, fifth President of the United States. Monroe county was named for President James Monroe. Monroe county was formed by the Mississippi Territory governor, David Holmes, on June 29, 1815. The county comprised all the Creek Indian lands ceded by the Treaty of Fort Jackson. 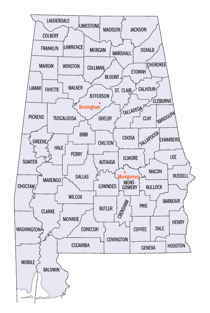 Monroe county was reduced in size by the creation of the Alabama counties of Montgomery, Conecuh and Wilcox. The county was named for President James Monroe. Monroe County is located in the southwestern area of the state, in the Piney Woods region. The county encompasses 1,019 square miles. The first county seat was established at Fort Clairborne; it was moved to Monroeville in 1832. Other towns include Beatrice, Peterman and Frisco City. 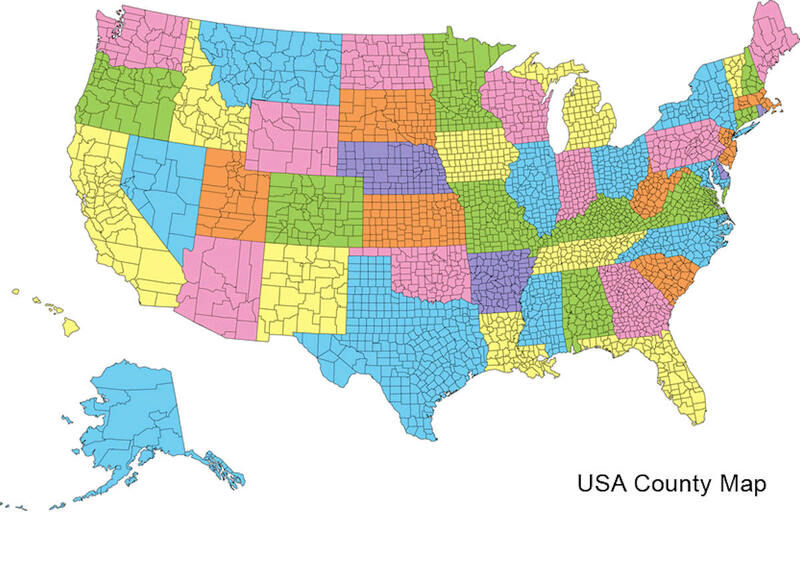 The county is known as the county older than the state. Most of the original European-American settlers were of English descent and came from the states of Virginia, Georgia and the Carolinas. The prominent Upper Creek chief, Red Eagle (also known as William Weatherford) of the prominent Wind Clan, settled here after the Creek War (1813-1814), where he established a successful plantation. He was of Creek and European descent, and had adopted chattel slavery as a planter and horse breeder. Most of the Creek people were removed from Alabama to Indian Territory (now Oklahoma) in the 1830s. The area was settled by European Americans, who brought slave workers with them, or purchased more after acquiring land. The county seat, Monroeville, is the home of two notable 20th-century authors, Truman Capote and Nelle Harper Lee, who were childhood neighbors. The novelist Mark Childress and journalist Cynthia Tucker are also Monroe County natives. In 1997 the Alabama legislature designated Monroeville and Monroe County the "Literary Capital of Alabama." It is a dry county, in which the sale of alcoholic beverages is restricted or prohibited, but Frisco City and Monroeville are wet cities. The county has twice been declared a disaster area due to extensive hurricane damage: in September 1979 due to Hurricane Frederic, and in September 2004 due to Hurricane Ivan. As reported by the Census Bureau, the county has a total area of 1,034 square miles (2,680 km2), of which 1,026 square miles (2,660 km2) is land and 8.7 square miles (23 km2) (0.8%) is water. The Gosport Sandstone, a layer of rocks underlying Claiborne in Monroe County, is known for the great number and variety of its fossils, representing more than 150 species. The Alabama River runs along the western border of the county and is home to 144 species of fish. Tributaries of the lower Alabama River fan out across the county, offering a range of recreational opportunities and scenic views. Monroeville is the only major city in the lower basin. 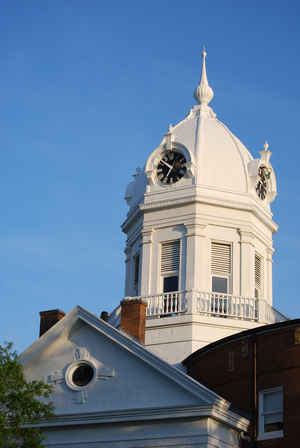 Monroe County is home to several attractions, such as the Alabama River Museum, the Monroe County Heritage Museum, and the Courthouse Museum which hosts the annual stage production of To Kill a Mockingbird. The county also contains Claude Kelly State Park.